New carbon frame, deep-dish tubular wheelset, maybe a top-secret embrocation from a Belgian alchemist. There is no guarantee that any of these “upgrades” will make you faster, although they definitely will make your wallet a whole lot lighter. But what if I told you that for $125 you could shave up to 30 seconds off your finishing time, and you wouldn’t have to swap out anything on your race rig? You would do that in a heartbeat, right? Of course you would. And to get this advantage you don’t need to take some sketchy new supplement or apply space-age polymers to your skinsuit. What you do need to do is make a commitment. More specifically, a two-part commitment. what highly experienced CX coaches have to say and implementing that into your practice and race routines. So how does that save you up to 30 seconds per race? Easy. Technique, technique technique. I will bet you 200 guilders that yours could be improved. Let’s take the dismount/remount for a typical set of barriers. Having these guys look at your technique and making even the slightest suggestions could save you a second or two every lap. Two sets of barriers over the course of six or seven laps? You do the math. The reality is that you and your crossresults.com nemesis may have the same fitness, but if you become more efficient over the barriers, the results may start tipping in your favor. So here’s the deal. Go find a clinic in your area. 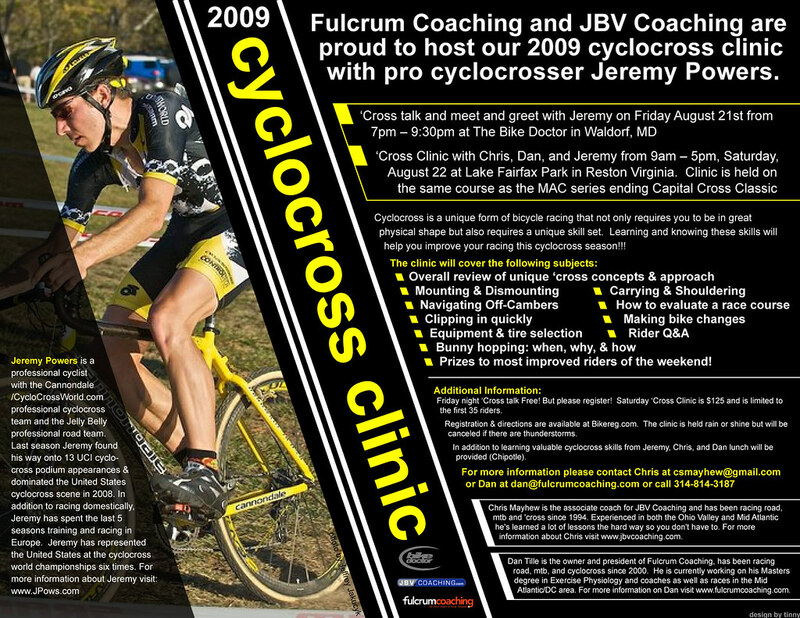 If you are anywhere near Washington, D.C., the JBV/Fulcrum clinic is August 22 at Lake Fairfax in Reston, Virginia, the site of the MAC series’ Capital Cross Classic. There is also an August 21 meet and greet with Jeremy at the Bike Doctor in Waldorf, MD. All of the details can be found here. Still not convinced a clinic is for you? Then read on, my friend. Chris Mayhew from JBV Coaching and Dan Tille from Fulcrum Coaching were kind enough to answer a few questions about the benefits of their clinic and who should attend. On top of that, Cyclocross Magazine just posted an excellent interview with JPow that you can read here. After reading it, I defy you to tell me that you couldn’t learn a thing or two from that guy. 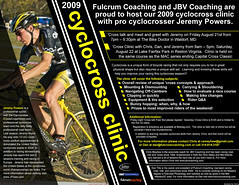 CXHairs: You are offering a cyclocross clinic in Northern Virginia, August 22. What does such a thing entail and have you done this before? did a similar clinic the year before that with John Verheul. Plus, Dan and I have done at least five free clinics a year in our local areas. As to what it entails, primarily this has been Dan’s project. My main responsibilities are to drive to DC and look good on Saturday. Dan has been busy with permit upon permit and getting Jeremy Powers to come in. Want to get through the mud faster? Ask Dan. He's been there. and a LOT of work the day of, but when you get the chance to talk with the participants after the clinic and in the course of the season and they tell you how much they have improved, it makes all the effort worthwhile. I have done two ‘cross clinics where I was just the organizer/participant. I have also done similar clinics to this year where I am one of the coaches. I did one last year with Chris and one the year before with John Verheul. I have also run mini clinics at local ‘cross practices for the past three years. CXHairs: Is this just for newbies? I’ve been racing for several years now, got some books, watch Sven Nys You Tube videos, and built some PVC barriers for my backyard, what more could I possibly learn? MAYHEW: We’d love to have all abilities there. 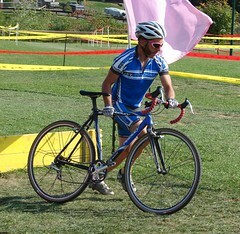 I should think that with one of the top ‘crossers in the nation there that surely a B racer could learn a thing or two. My experience is that people spend a lot of time learning bad habits that are “good enough”. I think it’s always a good idea to spend some time working on fundamentals skills to make sure they’re as good as they can be. TILLE: I 100% agree with Chris’s answer. Some folks that have been racing ‘cross for years can come out to the clinic and still learn something that might give them a edge. Never discount how important basic ‘cross skills are even for an experienced ‘cross racer. CXHairs: Jeremy Powers is helping you guys out. Other than the “wow” factor, what does he bring to the clinic? TILLE: Experience! 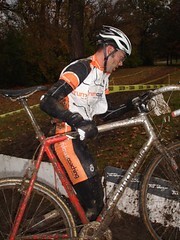 Jeremy has been racing ‘cross for a long time and has raced worldwide on pretty much every type of course imaginable. Plus he is a SUPER nice guy! I think everyone that attends the clinic will come away with some “nugget” of information that they can use in the future. MAYHEW: A lot of experience. Tips on hanging out with Lil John, maybe some mad beats from his turntable. While he is still pretty young he’s been racing ‘cross for a long time, I’m sure he’s figured out a thing or two over the years and can pass that on. He’s also an excellent teacher, is very good with the “general public”, and is super-passionate about ‘cross. You’re not just going to learn from him, you’re going to catch some of his enthusiasm. CXHairs: It may seem obvious, but if I plan to attend, what gear should I show up with? MAYHEW: A bike you can ride in the dirt, shoes you can run in (that is, not road shoes). Clothes for any weather, some cycling shorts, an open mind and a helmet to cover the same. TILLE: Ditto on what Chris said. Bring everything that you would if you were racing ‘cross, we are providing the rest including a Chipotle lunch! If you have any questions about the clinic contact Chris Mayhew at chris@jbvcoaching.com or 724 413 7441.